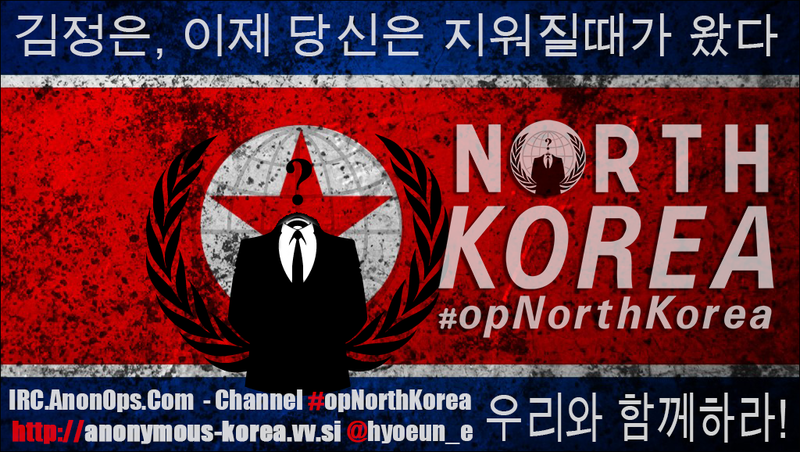 A poster produced by an Anonymous member advertising the group's planned June 25 attack on North Korean websites. A poster produced by an Anonymous member advertising the group’s planned June 25 attack on North Korean websites. A Twitter user claiming to speak on behalf of the Anonymous hacker collective says members of the group have succeeded in breaking into North Korean computer servers and stealing military documents. “Previously we said we would penetrate the intranet and private networks of North Korea. And we were successful,” the group wrote in a news release posted on Pastebin, a website that allows anonymous posting of text documents. “Your major missile documentation and residents, military documents show down is already in progress. Your attempt to cover this has been uncovered. We are partially sharing this information with the world,” the message read. The claim is impossible to independently verify and to-date the group has share none of the information it claims to have obtained from its hacking activities. Nor did it clearly explain how it managed to penetrate North Korean military computer systems. Hackers made references to accessing the domestic Kwangmyong intranet system, but a link from that system to a military computer network handling state secrets would represent a big hole in network security if it existed. An additional Twitter message posted a screenshot of a web page from the domestic Kwangmyong intranet system but, as NKNews first discovered, the screenshot dates back at least 2006 when it accompanied a South Korean newspaper story. The claims of infiltration come just days before a long-planned attack on North Korean Internet sites is due to take place. Anonymous hackers have been threatening for the last couple of months to mount a denial of service attack on North Koreans sites from midnight local time in Pyongyang on June 25. The groups’s last coordinated round of attacks effectively removed the websites from the Internet by deluging them with so much traffic that legitimate users were unable to connect.